2020 is Beethoven year in Vienna, celebrating the 250th birthday of the composer. Look out, for example, for a production of Fidelio directed by Christoph Waltz. January 1st is, of course, the date of the world-famous New Year’s Concert. The middle of the month brews up the Vienna Coffee Festival. Then it’s time to slap on your skates for the Vienna Ice World, which runs through until March. February is very quiet, sandwiched innocently between the holiday season and spring. March usually sees the Easter markets start up, depending on when Easter actually falls. See, for example, the one at Schönbrunn Palace. There’s also the Vinyl & Music festival at the city’s brewery, the Art Vienna contemporary art fair at the Hofburg, and the Bread Festival at the Marx Halle. March 2019 also saw the first Foto Wien photography festival, which might well become an annual event. 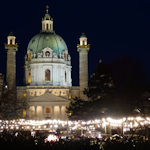 The Easter markets may continue (or start) in April, which is when most of the Vienna Blues Spring music festival takes place. Another feast of music that month is the two-day Electric Spring event in the Museumsquartier. If you prefer your words spoken, rather than sung, then there’s the Festival du Film Francophone (the French-language movie festival). The Argus Bike Festival usually takes place in late March or early April, followed by the Styrian Spring festival. Oh, and if you’re feeling energetic, then the Vienna marathon is usually in April, too (or just watch, if you’re feeling less energetic). May sees the Fest der Freude, a free concert on Heldenplatz to celebrate the anniversary of the liberation of the city in WWII. 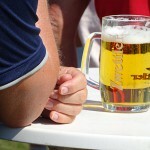 The same month also features the Genuss Festival, a three-day food and drink festival in the Stadtpark. And talking drink, try the open day at the city-owned Cobenzl winery or the craft beer festival. Two international music festivals arrive in June – the Vienna Jazz Festival and the Donauinselfest. The latter is Europe’s largest free open-air festival. And talking “free”, the Summer Night classical concert in the gardens of Schönbrunn Palace takes place toward the end of the month. 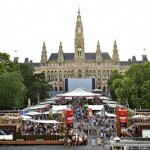 The Jazz Festival usually extends into July, which also sees the start of the Rathaus Film Festival, with daily public viewings of concerts and performances from various genres of music on the square in front of the Rathaus. The film festival carries on through August. August is also the traditional month hosting the Waldviertelpur regional festival, when you can stuff yourself with specialities from one of Austria’s more rural regions. There’s also the Vienna Old Timer Parade, when numerous classic cars parade around the Ring. The food theme continues in September with the Vienna Harvest Festival (Erntedankfest), while those of a more alternative bent will enjoy the international Buskers Festival and the family-friendly Streetlife Festival. The last Sunday in September is European Heritage Day, when various buildings open their doors to the public (for free). And if you’re in need of a drink after all that, try the Rum and Gin festivals. Early October is all about Vienna Design Week and the Long Night of Museums. Gamers of all ages can then enjoy free entry to Game City on the Rathausplatz. Mid-October is when the city celebrates a different type of music to the usual classics with Hollywood in Vienna. The film theme continues later in the month with the prestigious international film festival, the Viennale. 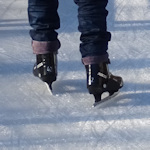 Late October sees the opening of the open-air ice skating season and the beginning of the contemporary music festival, Wien Modern. The Viennale and Wien Modern carry through into November, which also features two big festivals at the Wien Messe exhibition centre: Photo+Adventure and the Vienna Comic Con. November also marks the start of the Christmas season, notably the wonderful markets (and the modern equivalent – Winter at the MQ). End of November or early December is the Weihnachtsquartier design exhibition and market, too. The markets continue through until December 25th, and often beyond in the form of New Year’s markets. Many people also celebrate New Year’s Eve in Vienna along the Silvesterpfad. The final two days of the year also feature the Vienna Philharmonic’s New Year concert previews. If you’re looking for specific concerts, temporary art exhibitions and similar, simply visit the official listings guide.